Looks so innocent, right? And usually it is. But last weekend, I was walking these grassy trails as dusk approached. About 30 feet ahead, a coyote cut across the trail. My first thought: "Cool. A coyote!" My second thought: "Uh, I'm not sure how far off the trail she went. Maybe instead of continuing to walk this way, I should head in the opposite direction." Remembering the black bear safety tips I'd learned before a trip to the Smoky Mountains, I continued facing the coyote's direction and took steps backward. The rule (which I later confirmed also applies to coyotes): Don't turn your back on the animal and DON'T run away. If you do, you could be perceived as prey. As I slowly moved away, I spotted Madame Coyote standing not far off the trail, and I congratulated myself on taking the cautious route. Trouble is, walking backwards meant I couldn't see behind me. My leg crashed into a fallen stalk of dried weeds, making a loud, crunchy racket. In a flash, Madame's wolfish gaze locked straight onto me. I'm fuzzy on exactly what happened during the next few moments. My brain cells registered very little as they shrieked in unison. "Oh sh...neikies!" She either continued to simply stare or took an actual step toward me. Whichever it was, my instinct was to enact Black Bear/Coyote Safety Rule #2: Get big. With my arms arched out wide on either side of me, I lifted up onto my tiptoes and attempted to look threatening. Madame reacted immediately with a dramatic flinch. If she had, in fact, been moving toward me, she stopped. It seemed Safety Rule #2 had worked, keeping Madame in her place. So I resumed my backward trek. 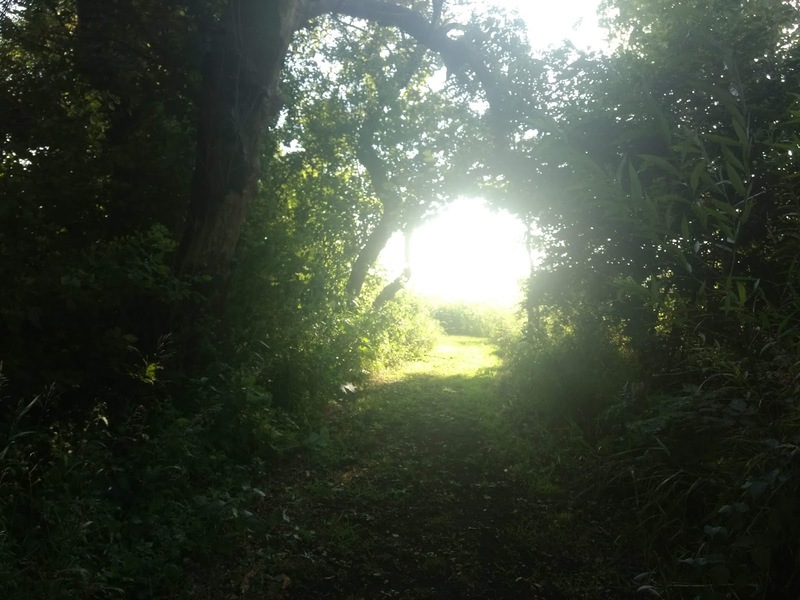 The goal now became to get to the paved path that circles the natural area—near busy roads and usually populated with other walkers, joggers, and cyclists. I lost sight of Madame, but kept a wary eye on her grassy domain. Just when I felt I'd moved far enough away to turn around walk forward at a brisker pace, who to my wondering eyes should appear—now on the trail and walking boldly toward me. I popped back into Big Threatening Position. Madame again flinched and stopped her forward movement. If you've never seen a coyote flinch before, it's actually quite adorable, even when you're scared. I should mention that there's a part (b) to Safety Rule #2: Make noise. Clap your hands; stomp your feet; blow a whistle if you have one. If a coyote poses a real threat and you want it gone, you could further "haze" by throwing clumps of dirt or rocks toward but not directly at the animal. In my case, I suppose I could've removed the earbuds from my phone and blared the podcast I was listening to. The splendid Brice Izyah growling "Eeeeemily" or calling "Paaaaatty!" may have been enough to send Madame far from that prairieland for the rest of her days. But that wasn't my objective. She belonged there, and all I wanted to do was get myself the hell out. So, I continued my backwards retreat along the curving pathway, again losing sight of Madame. I hoped she wasn't signalling any of her pals to meet me at the other end of the trail. I began to wonder if maybe I'd been too quick to activate BTP. Maybe if I'd just kept moving away in a normal human size, she'd have lost interest. But dressed all in black from my knit cap to my awesome boots, doubling in size at will, I'd become some kind of monster to her. Some kind of sassy, fashionable monster. No self-respecting coyote could let me remain in her territory alive. In case I haven't already made this abundantly clear—I did NOT want to remain there. But she didn't know that, and it was too late to change strategy, so when she again appeared in the trail, still making her way toward me, it was up on the toes and out with the arms for me. She flinched again...for the last time. But only because she moseyed back into the tall, dried grasses and allowed me to make my way to within dashing distance of the paved path. 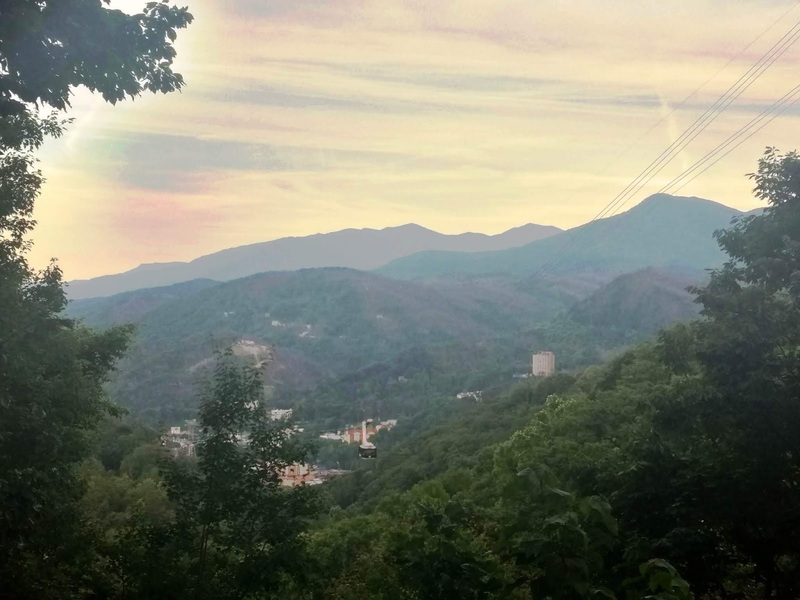 From my elevated position on an incline, I examined the trail I'd just navigated backwards. There was Madame, a comfortable distance away but brazenly trotting in the center of the cropped trail, still coming for me. Somehow, she didn't seem menacing anymore. 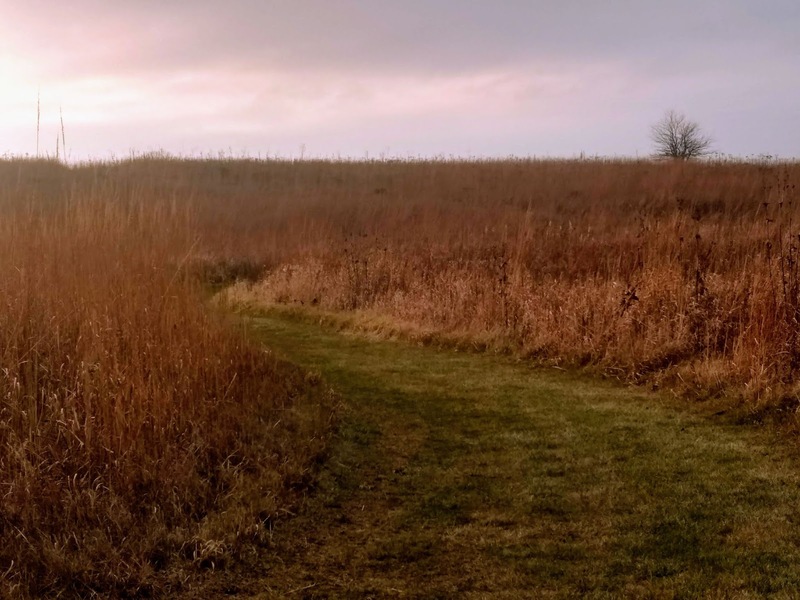 She had a jaunty bounce to her step, cocky in the accomplishment of her goal—which was the same as mine: getting me the hell out of that prairie. I learned afterward that this kind of shadowing behavior by coyotes is called "escorting." She didn't intend to hurt me. She'd simply marked me as a threat and voted me off her island. I turned and took three quick leaps through the tall, crunchy grass to the busy suburban bike path. I never knew cracked asphalt could look so glorious. When I returned home, I regaled my family with the tale of the coyote who'd "stalked" me. I imagine when she met up with her band, she warned them of the scary, spontaneously inflating creature she'd sighted. Or more likely, she told them: "You would not believe the goober I escorted out today." Have you ever had a frightening encounter with wildlife? What did you do? 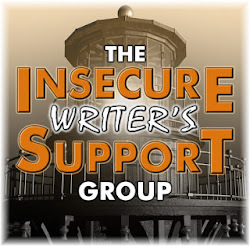 I'm making up for my absence last month by co-hosting the IWSG this month! 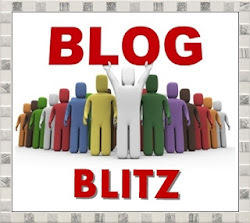 Looking forward to visiting bunches of blogs over the next few days. 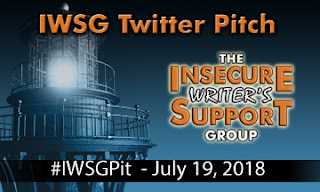 Get ready for #IWSGPit! On July 19, you'll have the opportunity to pitch your completed and polished manuscript on Twitter. If your pitch receives a favorite/heart from a publisher/agent, that means they've requested a query! See all the details and rules at the IWSG website. What are your ultimate writing goals, and how have they changed over time? Goals? What are goals? Just kidding! I've heard of them; I'm just not great about setting them. But I guess my goal when I first started writing was to have fun with it, and that hasn't changed. After putting out a 3-book series in less than 8 months (between June 2016 & January 2017), I kind of felt like I needed to reclaim the "fun" part. 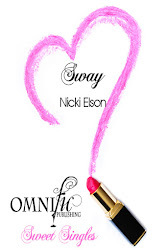 Publishing and marketing aren't my favorite, so now I'm back to playing with words for the fun of it and not thinking about the publishing part just yet. But sometimes marketing is fun. 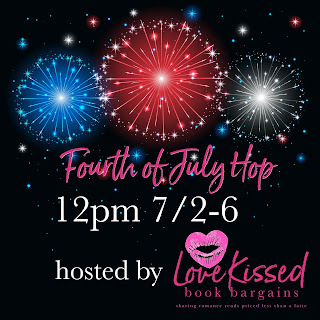 Hop onto the Fourth of July Hop for a chance to win tons of prizes from a whole bunch of romance authors (including me). Happy 242nd birthday, US of A!!! 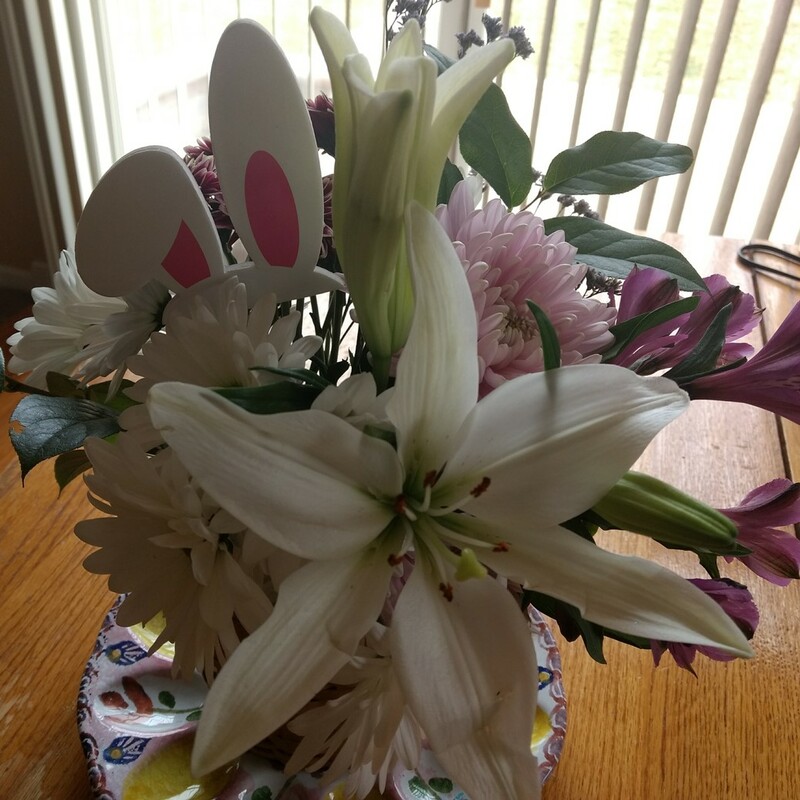 Happy May IWSGers! Believe it or not, I actually started writing this post ahead of time - and then I forgot to schedule it, d'oh. Anywho, here I am now. Lately, I've been thinking about the reactions I didn't anticipate before my first novel was published back in 2010. 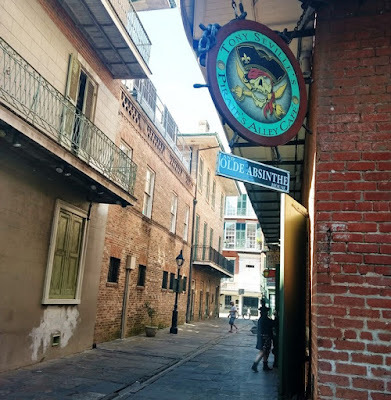 For the benefit of any about-to-be-published-for-the-first-time authors out there, I'm sharing 5 things I didn't learn until after my first book came out. For you experienced published authors, I'd love to know - do these "truths" hold for you, too? 1. No matter how many times you tell your friends and family that your main character isn't you, they won't believe you. 2. 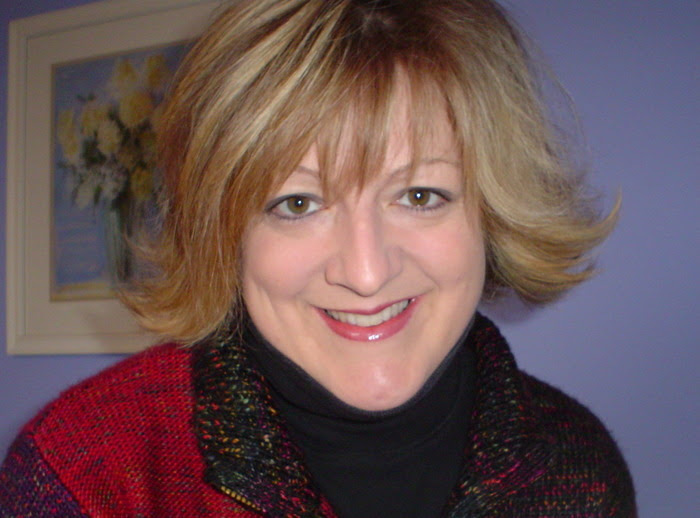 Once you've written and published one book, and no matter how many you publish after that, you will forever be asked, "When are you going to write a new book?" 3. 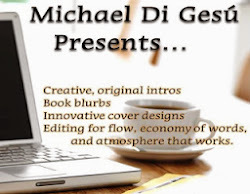 You'll be amazed to learn how many people you know who've also thought about writing a book. 4. Friends who bought your book will suddenly stop making eye contact with you - because they've been busy and haven't read your book yet and probably the book isn't even their preferred genre, so you're totally cool with them not reading it, but they think you're lying, so they continue to act weird around you, enough so that when you publish your second book, you hope none of your friends buy it. Hi, gang! Here we are in April, can you believe it? I know you're all busy, busy, so I'll get right to the optional IWSG Day question: When your writing life is a bit cloudy or filled with rain, what do you do to dig down and keep on writing? Two things. One is---write. Even when I know what I'm spewing is garbage, I remind myself I can always go back and rewrite later. Eventually, I warm up and the words start flowing better. I guess what I'm sayin' is---take time to smell the April flowers and soon you'll be raining words. Happy March, everyone. Hope your month is off to a good start. I'm happy to report that my plan to write a new chapter every weekend is going great. My current WIP is at 40K words. :) No telling how many of those words will be ripped apart and Frankensteined back together during rounds 2 and 3, but that's a concern for another day. With an end goal seeming possible, I enjoyed thinking about this month's Optional IWSG Day Question: How do you celebrate when you achieve a writing goal/finish a story? I hadn't thought of it as an official thing I do to celebrate - it's just what's ended up happening in the past - but now I'm making it official. When I finish a story, I celebrate by tackling a home project. 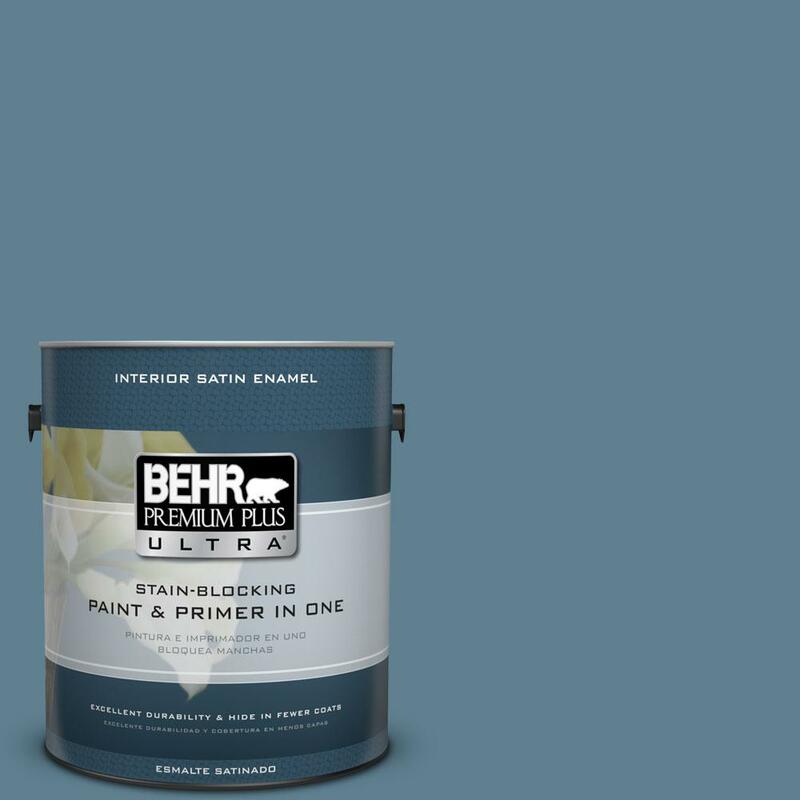 Make that a fun home project. When I finally finish with my current writing project, the master bathroom is on the agenda. While taking a writing break last weekend, I even picked out the color. What do you think of it? Weird that I picked it out just after describing the sky as "steely blue" in the chapter I was writing, huh? Looking forward to learning how all of you celebrate! 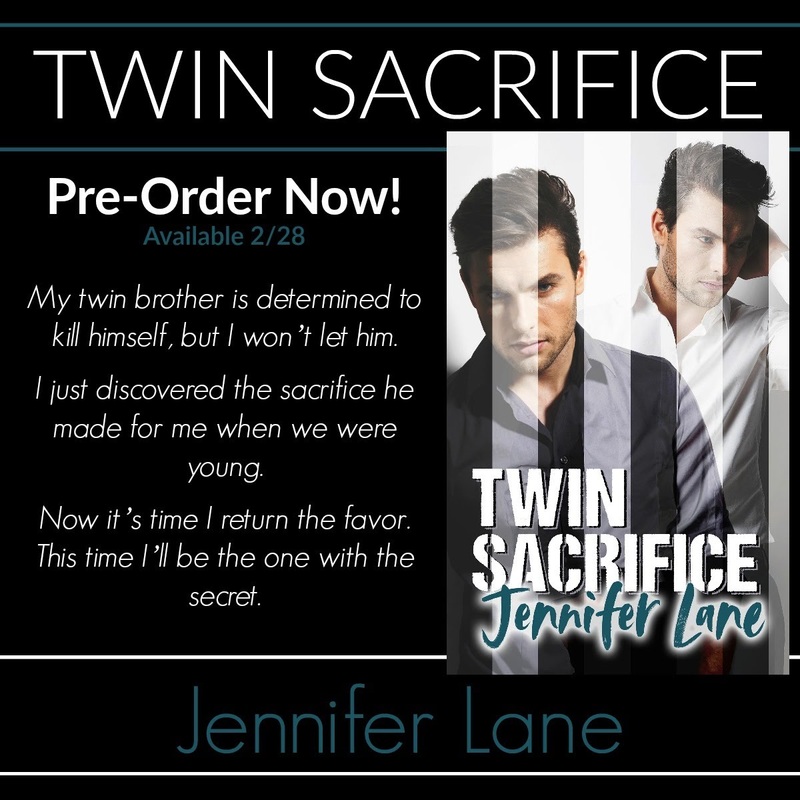 Today's the big day - the release of Twin Sacrifice by Jennifer Lane! 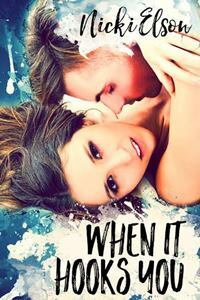 As you'll see in my review below, I found this to be an excellent read - Jennifer Lane at her very best. This is Jennifer Lane at her best. 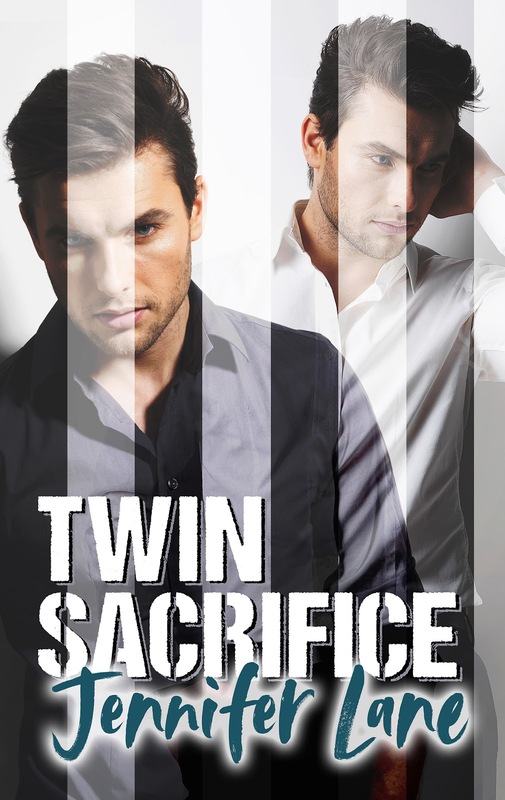 Twin Sacrifice gripped me from the first chapter and kept me riveted to the page the entire way through, wondering how in the world the Durante brothers would get themselves out of this one. The suspense in Twin Sacrifice is non-stop and addicting. 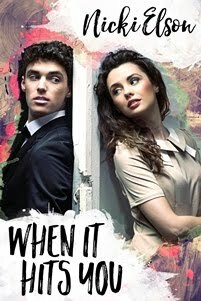 I eagerly anticipated each chapter to see what ingenious new plot twist was tap. 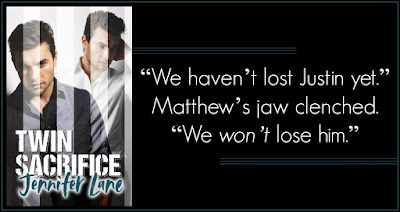 One thing you can count on in Jennifer Lane books is dynamic characters. 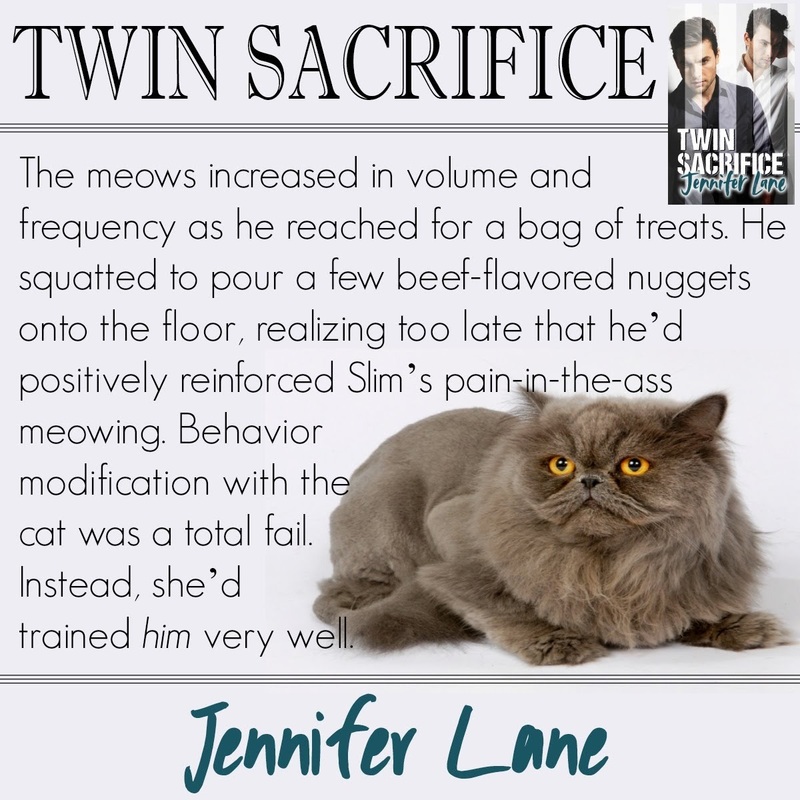 In Twin Sacrifice, they've all got so many intense levels and yet she makes them relatable and likable. The bonds between the brothers is beautiful and sometimes heartbreaking. 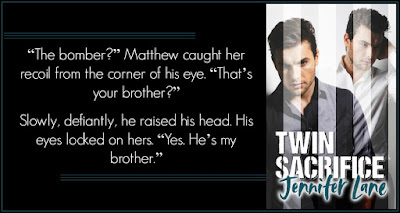 Something that sets Twin Sacrifice apart from standard suspense is the realistic use of therapy sessions to dig deeper into the characters and move their stories forward. It's obvious the author has a wealth of practical experience in this area. She also has a knack for sharing her knowledge in an accessible way to readers so that the concepts are easy to understand and interesting for non-experts like me. 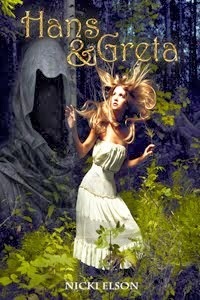 I highly recommend this story for readers of suspense and anyone who enjoys a riveting tale with engaging characters. Two Great Giveaways - be sure to enter them both! 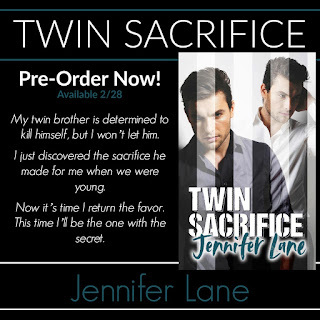 That's right - you can now pre-order this wonderful psychological thriller by Jennifer Lane. 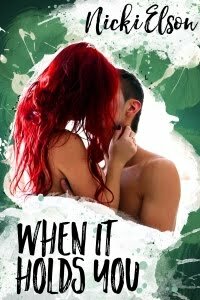 I was a lucky pre-reader of this book and I'm SO excited for you all to get a chance to read it very, very soooon. Welcome to another chapter in "Holy s@*& I almost forgot IWSG day." Thank you again, Jennifer Lane for the very much needed personal reminder. I most often write chick-litty romance. There are two things I love most about the genre: 1) The excitement of realizing you love someone and that they love you back. 2) Lightheartedness. This life is filled with so much conflict and garbage that it's easy to become trapped in darkness. I choose to remain most often in light and fluffiness. 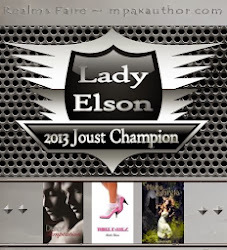 I look forward to hearing what draws you all to your genres and will be back later today to visit. Right now, I'm knee deep in a work project and about ankle deep in new snow I've got to get off my driveway (luckily, it looks to be light & fluffy. ;)).